Congratulate your award winners in a memorable way. Every year, outstanding students are recognized for academic, athletic and artistic achievements. Their educational community proudly stands to applaud their hard work and dedication. The Registry can help make the experience truly unforgettable. A time-honored tradition. Educational institutions have a tradition of motivating students to do their best and honoring them when they do. They also applaud the achievements of student athletes and outstanding performers in the arts. The Registry has been part of many traditions providing award winners with a cherished keepsake that will offer a lifetime of memories. Recognizing achievement in schools, colleges and universities is a year round effort. For the best results, it requires consistent attention to detail. That’s where the Registry can help. We work with you to create a comprehensive recognition program that’s perfect for your institution. Our selection of custom gifts and awards is a beautifully unique way to recognize outstanding achievements and special accomplishments. Plus, we provide you with a simple system for ordering and fulfillment, backed by our superior customer service. The centerpiece of our collection is a custom designed aluminum alloy plate, cast with the name and logo of your institution. This very distinguished piece becomes the vehicle to display specific achievements by means of printed ceramic medallions and/or custom engraving. 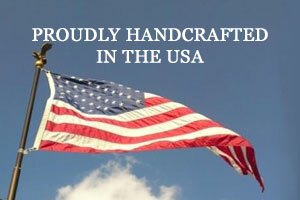 Proudly made in the USA, it is available in 2 sizes with a variety of display options. Since 1985, the Registry has helped hundreds of educational institutions recognize and reward excellence. We’d like the opportunity to do the same for you.